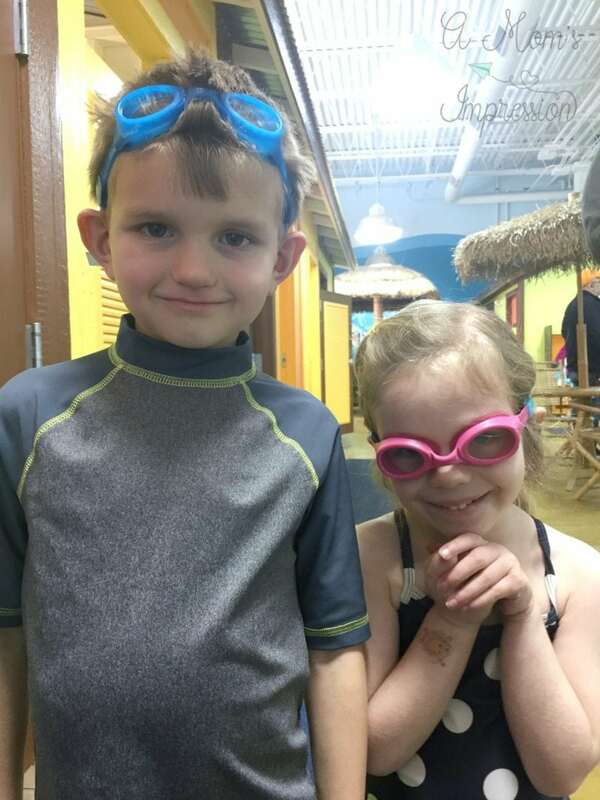 Here is a little update on how swim lessons are going this summer. 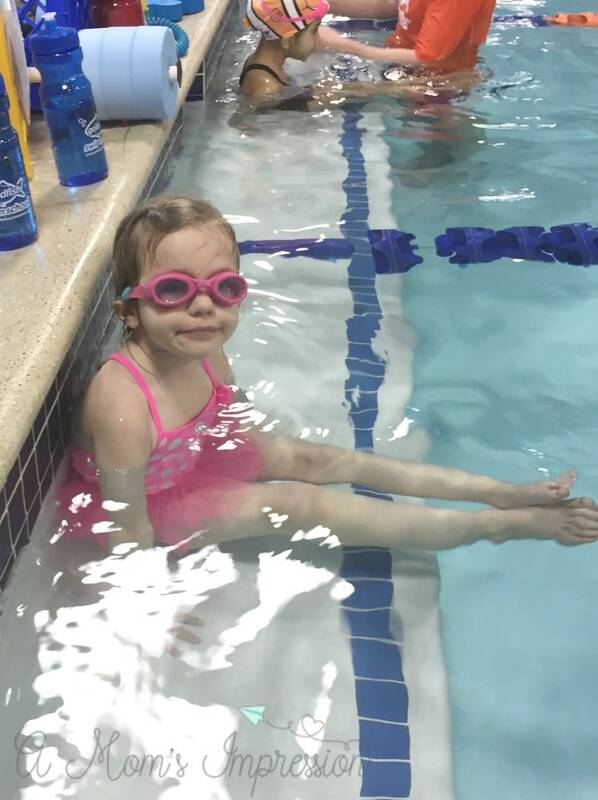 Caroline has still been extremely scared of learning how to swim. When school let out we have been extremely busy with travel, camps, and activities that it has been difficult to make it to our weekly swim lessons. When we got back from our trip to Idaho to visit it was apparent that I needed to do something to get her more comfortable in the water. While she was crying through her entire lesson, I decided to sign her up for a Jump Start Clinic the following week. Goldfish Swim School’s created Jump Start Clinics to help get reluctant swimmers water-ready in a hurry. They are great for kids like Caroline who are a bit scared because they are swimming 5 days a week with the same instructor. The clinics are also perfect for kids who need to be introduced to water safety fundamentals. The clinic includes 5 consecutive days of lessons that are 30 minutes long. My daughter was in a class with just her and one other swimmer. The classes are small so that there is a lot of individual attention. I knew that Caroline needed consistent practice to boost her confidence. It was exactly what she needed. We made this quick little video so you can see her progress from day one to day five! She went from crying and refusing to swim to swimming over 15 feet. Today at her normal weekly swim lesson she made it almost 20 ft. She just needed consistant practice and the Jump Start Clinic provided that for her. We are still working on her confidence, she is still not willingly swimming and needs someone to get her started, but the difference she has made in a week was amazing. There was a little guy who went from screaming and refusing to get in the pool on day 1 to going under the water with a smile on his face on day 5, the change was remarkable. 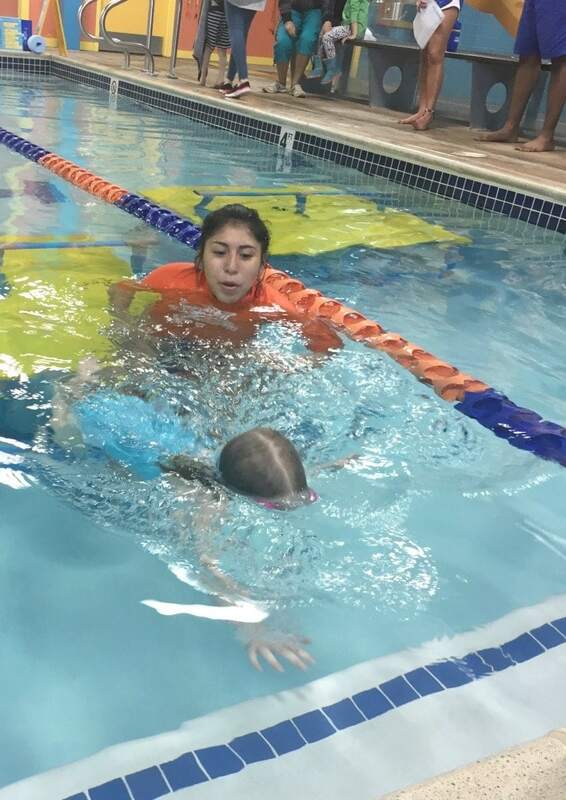 If you are looking for a quick start to get your child a little less afraid of the water, be sure to check out the Jump Start Clinics at your local Goldfish Swim School. Jump Start Clinics are held over the summertime and other select times during the year. Fees are paid weekly and may differ based on location. Do you take advantage of local swim lessons? I highly recommend looking at Goldfish Swim School for your little ones. We love the instructors and the curriculum that they offer. For more information about Goldfish Swim School and when they offer their Jump Start Clinics be sure to visit their website. For more great reasons to get swimming be sure to check out how to benefit from swimming daily with your kids. While we paid for the Jump Start Clinic we partner with Goldfish Swim School for weekly lessons. All opinions are 100% mine.